People had been calling for him for weeks. Some had been calling for him since the spring game. 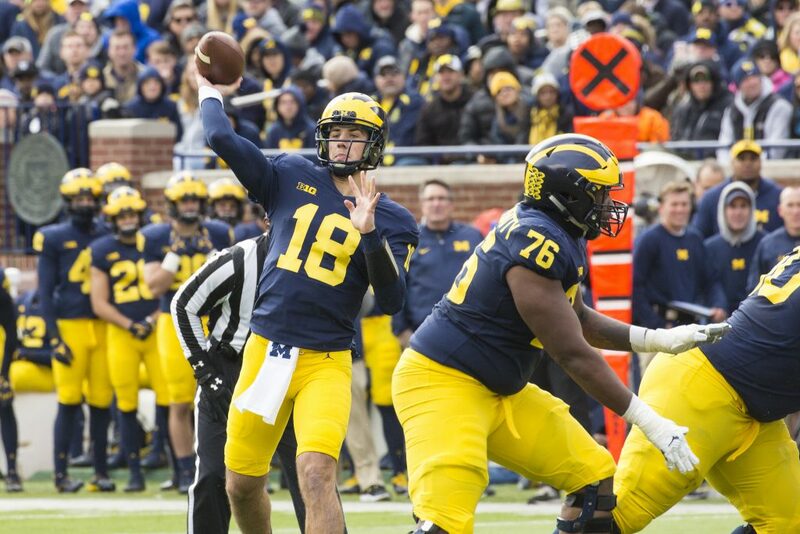 Finally, the collective hive-mind that is Michigan Twitter got their wish: Brandon Peters was inserted in the second quarter of the Rutgers game this past weekend. Early returns? Not bad, but ask again in 24 hours. Overall, he did better than I initially thought he did. A couple “freshmen” moments, for sure, but after taking a second look, he progressed through many more reads than I initially thought. A lot of Michigan fans remember the fantastic performance of John O’Korn had when taking over for Speight during the Purdue game. That peformance turned out to be an outlier. Not every pocket is going to be perfect. He scrambled a couple times and stepped up in the pocket once, but I want to see how he preforms in an all-out blitz situation. He didn’t have to take one against Rutgers because…well…Rutgers, but eventually he will, and Minnesota has a weak secondary to polish that skill for the Wisconsins and Ohio States of the world. A couple of throws were a bit off, the slant to Perry that was almost intercepted, especially. He turfed a ball in front of McKeon on a 4th down and sailed another ball high to Wheatley. I don’t expect those mistakes to continue to happen too often, but it’d nice to see him prove me right! Overall, there were plenty of signs that pointed to a promising future with Peters at the helm. But for now, they’re just signs. Saturday night will surely show us some more.